The puppies from this litter have all been spoken for. I am planning a breeding of Sawyer and Flirt this summer, info will be posted at a later date. IF you are interested in this breeding please complete the questionnaire. At Nuuktok our breedings are planned well in advance, and we only breed the standard size. I take great pride in the litters I have produced; they have sound temperament, structure and health. 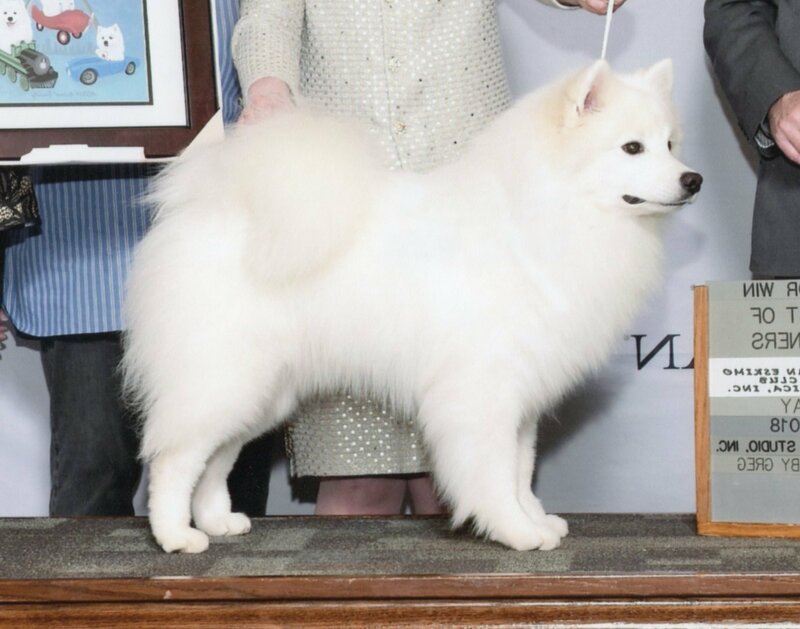 Nuuktok dogs are all championed in three registries (CKC, AKC, UKC) as well as some obedience titles. Our breeding dogs have been OFA (Hips), and are Optigen tested for PRA (Progressive Retinal Atrophy) in order to produce the healthiest puppies possible. Puppies are sold on a non breeding contract, and must be spayed or neutered before 1 year old. All dogs will remain in my name until I receive documentation from the vet that the dog has been altered. I am available to all puppy owners 24 hours a day if you have questions or concerns regarding your puppy. In the event that you can’t keep your dog even temporarily, it is to come back to me, and under no circumstance can it be sold or given away without my written consent. Puppies are a minimum of 9 weeks old before they are released to their forever home. I do require a fenced in yard…. 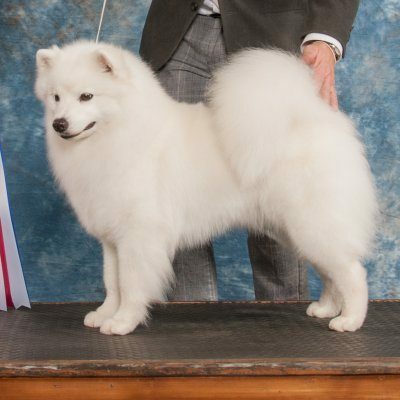 American Eskimo dogs cannot live outdoors, and I require a minimum of 3 sessions (24 weeks) of obedience classes. Puppies are born in my bedroom and are socialized with my grand children, and friends visiting. Weather permitting when they are older they are put outdoors with some puppy agility equipment etc. Puppies are on their way to being crate trained when they leave my home. I choose the puppy that best matches the dynamics within your family, and puppies are held in the order I receive deposits. When possible I like to meet all potential puppy owners prior to committing a puppy to them.